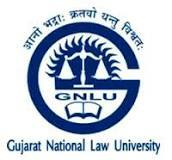 Gandhinagar National Law University (GNLU) has published Advertisement for below mentioned Posts 2018. Other details like age limit, educational qualification, selection process, application fee and how to apply are given below. Essential Criteria: (i) Master’s Degree in Law from an Indian University, or an equivalent degree from an accredited foreign university; (ii) Good knowledge of latest national and international research trends and developments in the fields of energy; (iii) Ability to conceptualize and organize international training workshops and brainstorming online/on-site discussions apart from teaching/Research; (iv) Fluency in English language. Highly desirable: (i) Experience in teaching/research in premier law universities/colleges in the area of Energy related laws; (ii) National Eligibility Test (NET) conducted by the UGC, CSIR or similar test accredited by the UGC like SLET/SET; (iii) Excellent inter-personal and team-building skills; (iv) Ability to innovate and to improve academic programmes or services and to pursue interesting new ideas and new methods.